LinguisticsNetwork™ is an academically sound, user-friendly, and interactive online resource for linguistics and language-related studies. We cover content in the major areas of linguistics study that correspond with material presented in lectures and textbooks used at major universities. Just love languages? Our numerous tutorials, links, and videos connect our users with exposure to languages around the globe. Whether you want to learn a less common language like Quechua, acquaint yourself with the origins of Serbian, or compare the scripts of Ancient Persian to that of Farsi, we offer unique resources that will captivate the curious! Take a look at our numerous self-correcting exercises in the major content areas of linguistics study specifically designed to provide you with an incremental approach to learning. Give Our FREE Exercises a Try! Syntax -What’s in a Node? 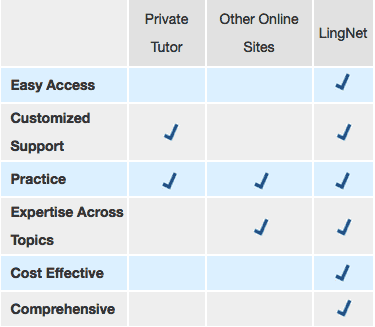 LinguisticsNetwork offers support for our teachers, professors, and instructors. Read our list of resources we are currently offering to all our instructor members.